Sokobauno Puppet Theatre uses miniature toy-theatre techniques, beautifully designed shadow cuts and original music to vividly re-imagine this classic fairy tale of Little Red Riding Hood. 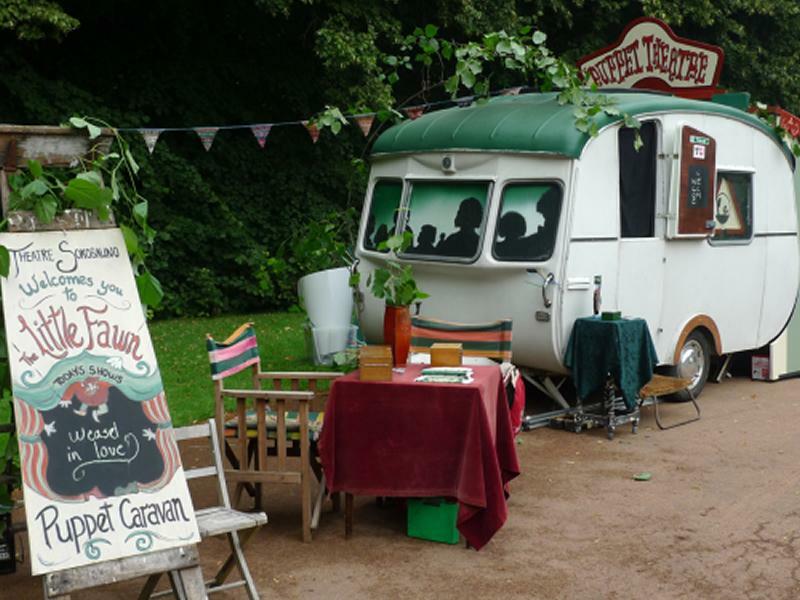 This show is performed inside a caravan and the audience is limited to just 12 people. It is a 25 minute show combined with a 40 minute puppet making workshop all in one ticket. While we take every opportunity to ensure the details for Little Red are accurate, we always advise that you contact the event organiser before setting out for the event to avoid disapointment.